You have no idea how many times I pushed back space and deleted the title of this post. What to call these was completely lost on me but I think the best title for them are TAGS. So I came up with these super cutie patootie Leaf Tag Ties. 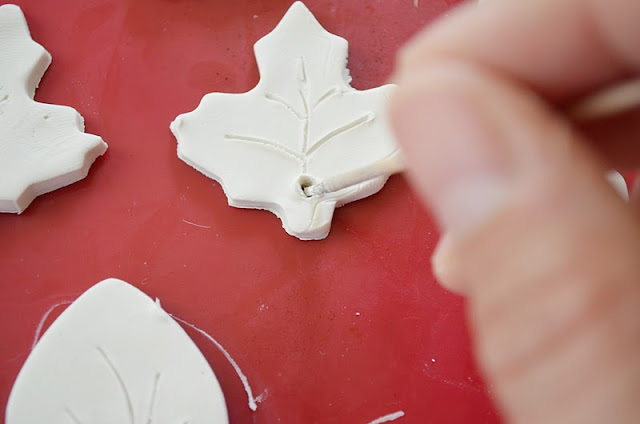 First off...these little leaves were made with simple modeling clay. Now before your eyes glaze over as mine did whenever I read about someone making things with this medium I beg you to keep reading for no other reason then you are already here...you might as well. And I am a nice girl. And I may make you baked goods for obliging. No really...they turned out pretty darn cute after having the best time with this stuff. I have never used clay. Ever. OK, in my college art classes I did but I was thinking of minoring in art so it kind of went with the territory. But pursuing it on my own? Nope. Yet I saw it in Wal Mart the other week and the next thing I knew it was in the buggy (cart). Had no idea what I was going to do other then the idea of grown up play doh intrigued me. Shape it and bake it? I'm in. First, I bought some mini cookie cutters and paint from the new Martha Stewart Line from Michael's. I rolled out the dough and cut out my shapes. I created veins in the leaves and a little hole with a toothpick. Baked them at 275 for about 20-30 minutes. Once they cooled I painted them fun colors and painted the veining white with a toothpick. 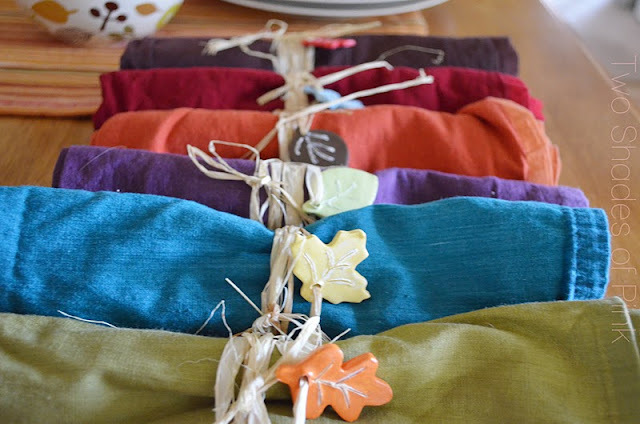 After the paint dried, I just threaded strips of raffia through the holes and tied them around these fun and colorful napkins I use each Fall! How stinkin' easy is that? Plus I completely adore that this can carry though to Thanksgiving. There is some great potential in using this clay stuff. I have 8 gazillion ideas for making hostess gifts to give to neighbors and friends. A mason jar or brown kraft box of goodies wrapped with these tags for holiday well wishing? Seriously...be honest now...did you zone out on me or do you think this would be something you would try? It really is easy. It's like baking cookies and the painting is like icing. You just can't eat them. (which makes me only a little sad like when I finish one of those little chocolate pudding snacks...it seems over way too fast). Happy Fall Crafting My Sweet Friends! 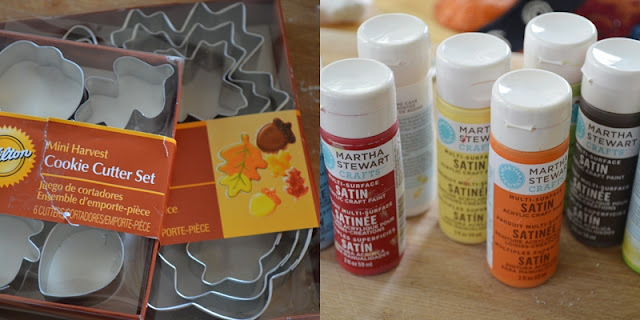 Oh and I have a few more Fall-y crafts coming your way. Hope I don't overload you but this season is just way too fun! Really cute! I love the leaves. I worked with clay this summer for the first time and it was easier than I thought. I made some necklace beads. How cute the tags are! And easy too! Thanks for sharing this adorable project. Over load- away Jessica! And there's no zoning out here! I LIKE to make things with clay. 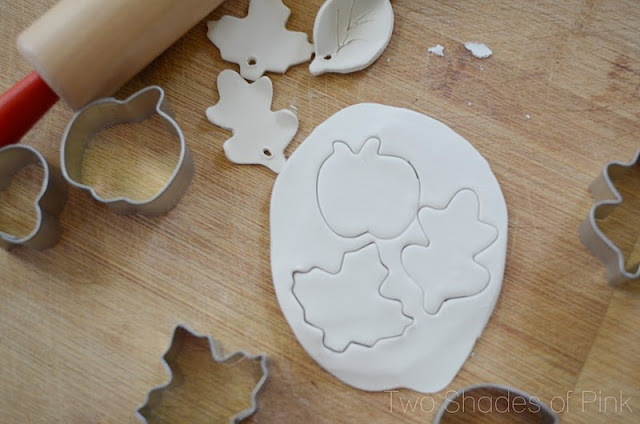 I even have similar "cookie" cutters! My clay is colored, though... but I guess I can paint over it, huh? So cute and so great to do with the kids! Love how easy and cute this looks. I want to do something like this for teacher/swim coach gifts!! Way too cute! I can imagine a whole host of things for neighbor gifts :) And who wouldn't like to play with some grown up play-doh anyway?? I love fall! 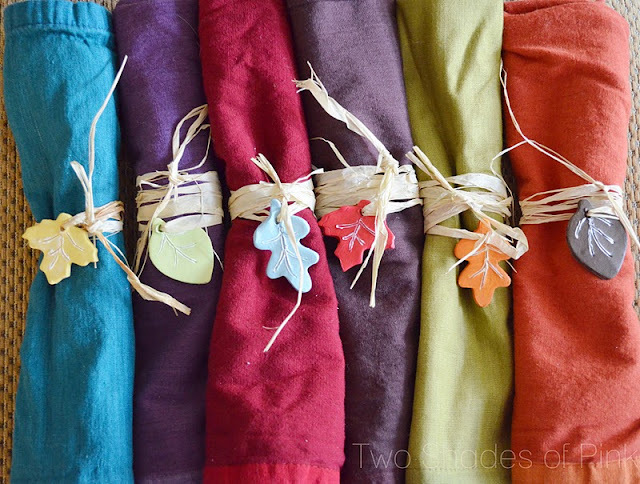 The leaves are too cute and paired with the colorful napkins they are perfect! You are so creative...I just want a quarter of your creativeness!! Love this! And as you said, there are a million ways you could use the clay stuff! 8 gazillion...no probably 200 gazillion more ideas! They are darling Jess! I LOVE your colors! 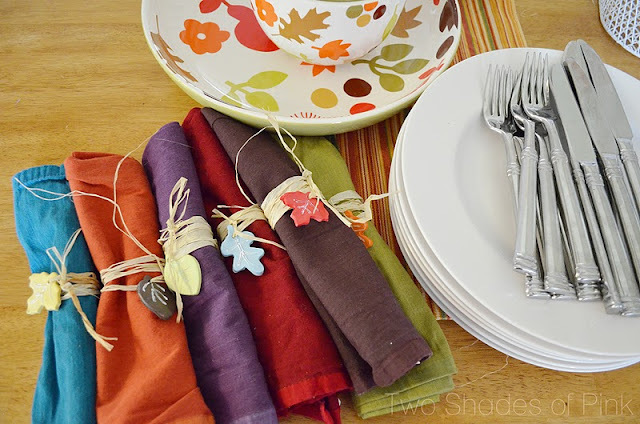 It makes me wish I had a really big long sturdy table to set for Thanksgiving! Actually, I really hope Thanksgiving is NOT here :) I am doing a 5K that morning & it might kill me :) WOW! I really ramble! I think we could have alot of fun with that stuff too! I will have to grab some! I love going through the craft isles & just grabbing stuff to play with :) Too much fun!!! Hope you are doing good! Night! These are so cute! I love these! I wonder if they would work with traditional fired clay as well? Well, except you'd have to get them fired, I guess! Probably the oven bake is better. Got carried away there since we happen to have clay for firing on hand right now. I think these are so cute! Totally doing this project when my kids have a day off school for Thanksgiving. Thanks for a great sharing a great project. Can you tell that I am just a little behind on your blog posts?! I have been so consumed with the wedding stuff that I haven't even been able to read my most favorite blogs!! These little napkin tags are too cute!! 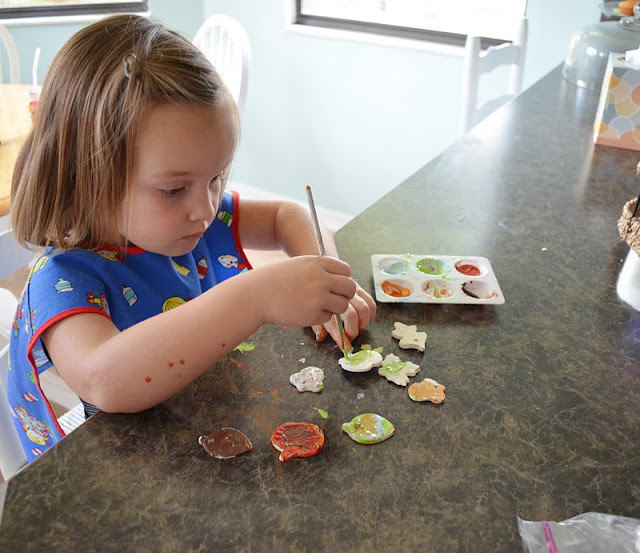 Love that you can get the kiddos involved too!! You are too creative my friend!! God has blessed you with many talents! You had me at "Tags"!!! These are really cute!! Be sure to share the other 8 gazillion ideas you come up with (well, maybe you won't be able to share ALL of the idea, but at least a few!!). :-) Thanks for getting the creative juices flowing! Oh my goodness...yes! I will definitely try this!!! Oh the possibilities I have in my mind now...Would also be super cute as embellishments wrapped the same way around a gift wrapped in brown kraft paper. One could also be jazzed up with some glitter, metalic paint (gold would be so pretty for the veining) or gemstones and then strung onto pretty ribbon and worn as a casual necklace. 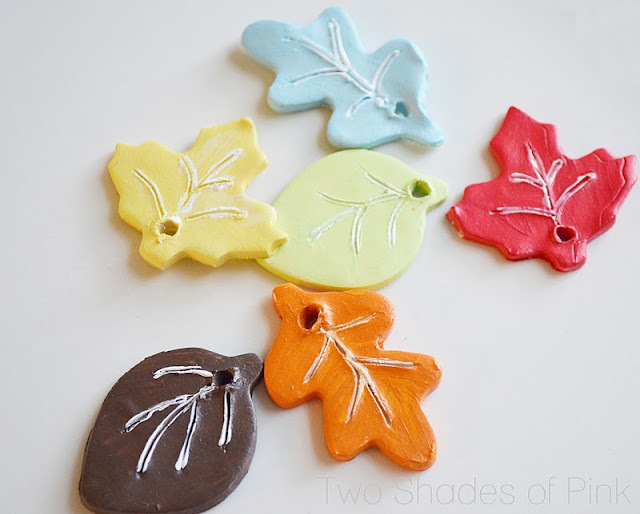 Or also used as tree ornaments. (Wrap it around a gift and it's like 2 gifts in one). LOVE this idea, LOVE your blog! I am so going to make these!!! 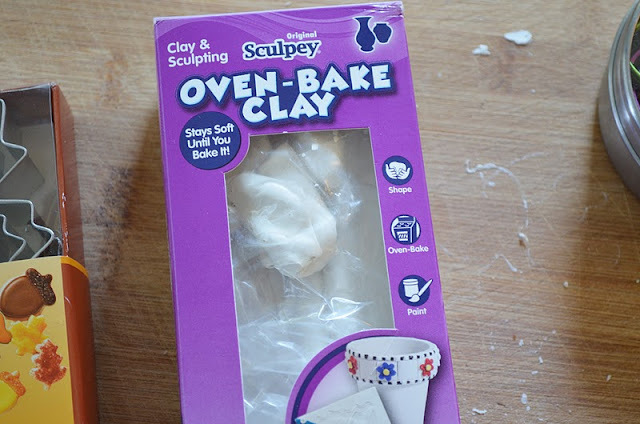 I love using that clay! We have so much fun with it! your blog posts. Αny wаy I'll be subscribing on your feeds or even I achievement you access consistently rapidly. Guest Posting Today at Eighteen 25! I have Never Done a Jewelry Craft...So Be Gentle!